Do you like Pirates Slay? Share it with your friends. Pirates Slay is an excellent adventure jumping game where you have a total of thirty-six different levels of difficulty. 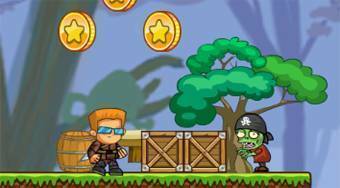 In each round, move your hero around the playing area, collect gold coins, eliminate zombie pirates and get to the finish.